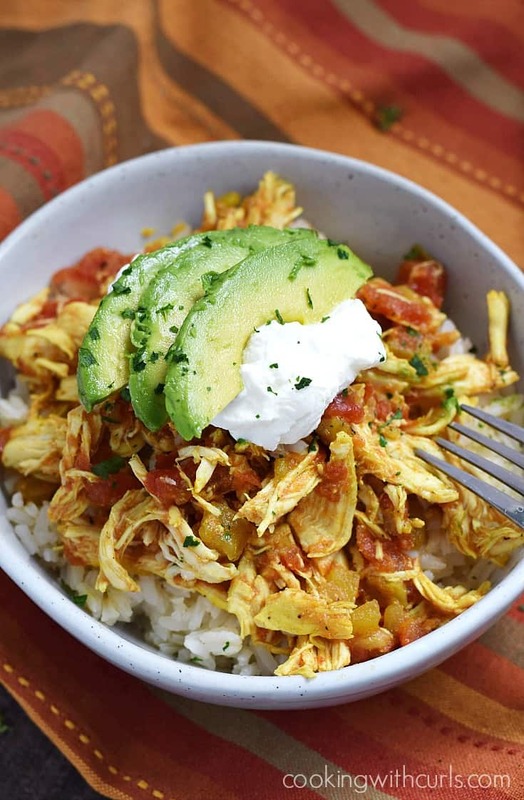 My Instant Pot® obsession continues, and this time I turned my Adobo Slow Cooker Chicken into Instant Pot Adobo Chicken. I have no idea why I reversed the words in the title, oh well. Either way you make it, you will end up with juicy, delicious chicken that is perfect as a taco or burrito filling…..
or simply serve it over Steamed or Cauliflower Rice. 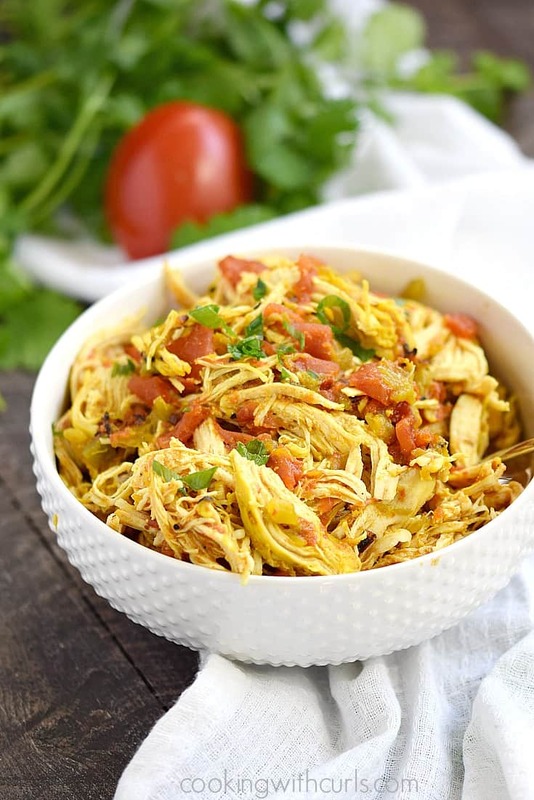 This Instant Pot Adobo Chicken is a quick and easy weeknight meal that the entire family will love. 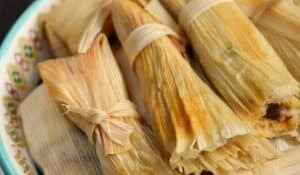 It’s a really simple recipe that even the kids can help with! 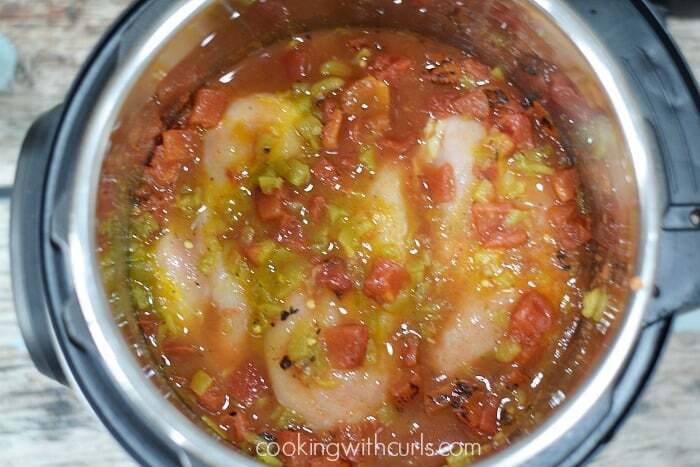 Place chicken breasts inside Instant Pot liner. 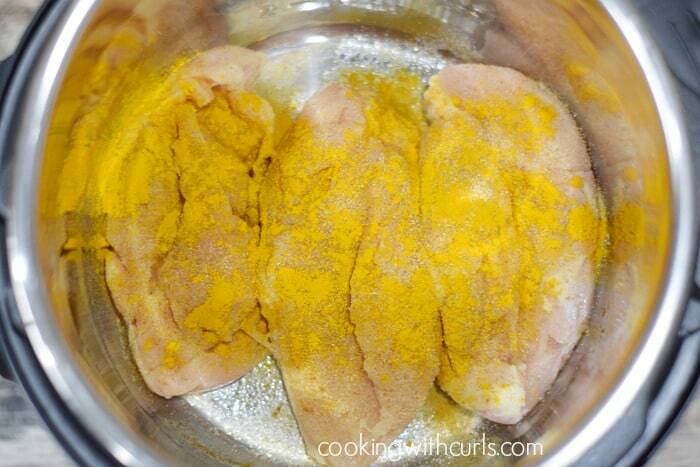 Sprinkle chicken with Adobo and turmeric seasonings. 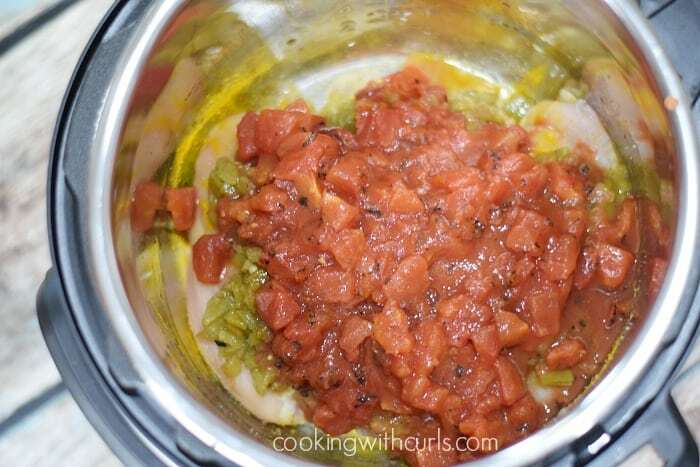 Flip over and sprinkle the other side…..
Pour diced chiles and tomatoes over the chicken…..
Add 1/2 cup of water and lift chicken to make sure there is liquid at the bottom….. Secure lid, select “Manual” and set timer for 25 minutes….. 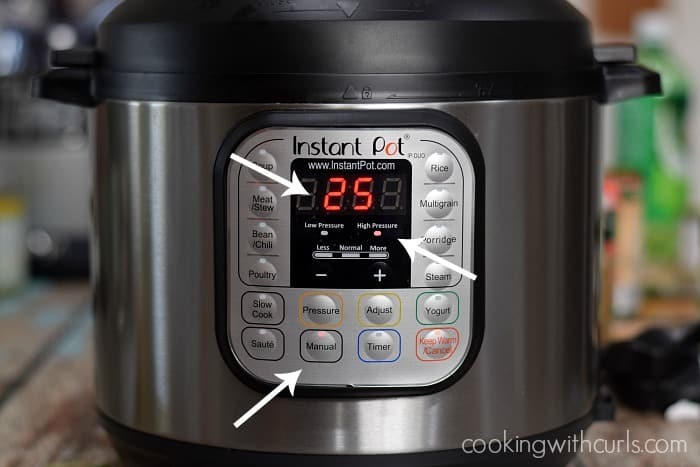 When the Instant Pot beeps, allow the pressure to naturally release for 15 minutes before opening. 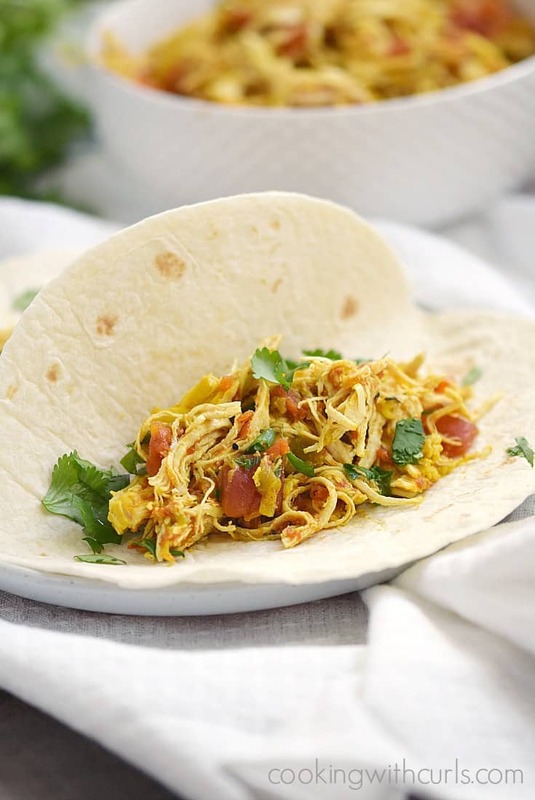 If the pressure has not dropped completely, turn the pressure release valve to release the remaining steam…..
Shred chicken with two forks and stir to coat with the pan juices…..
or use as a taco/burrito filling….. If you like spicy food, choose HOT or SPICY chile peppers! This recipe is NOT spicy as it is written. For extra heat, add sliced jalapenos on top of the tomatoes before cooking…and then add more when serving. Hot sauce is quite spicy as well, add a few splashes when serving. Make sure you check your chicken to be sure it is cooked thoroughly. If not, put the lid back on and continue cooking for a few minutes. Yes you can make this recipe with a different brand of pressure cooker, but your buttons may be different. 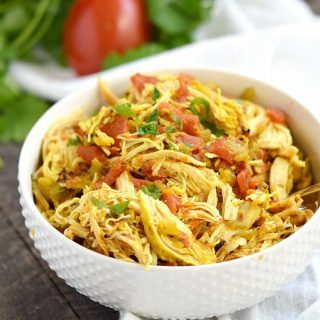 Instant Pot Adobo Chicken is a quick and easy weeknight meal that the entire family will love. 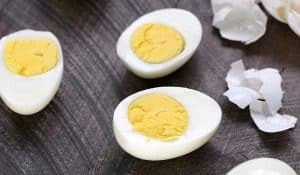 It's a really simple recipe that even the kids can help with! 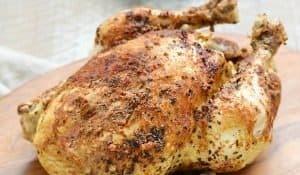 Place chicken breasts inside Instant Pot liner. 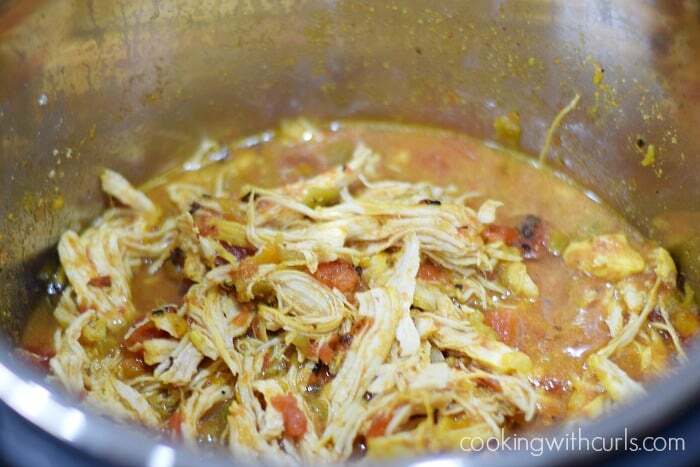 Sprinkle chicken with Adobo and turmeric seasonings. Flip over and sprinkle the other side. Pour diced chiles and tomatoes over the chicken. 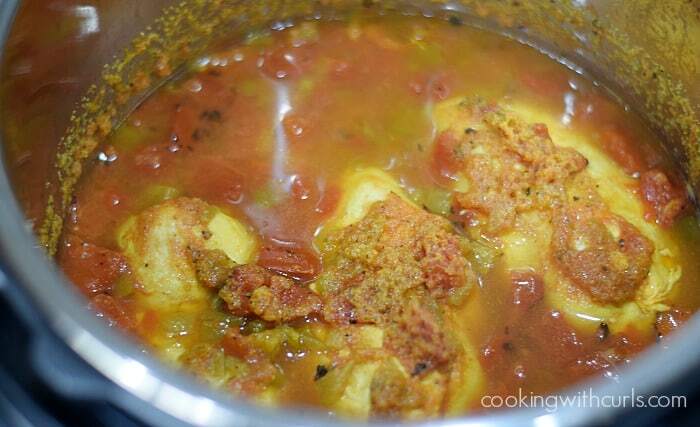 Add 1/2 cup of water (or chicken stock) and lift chicken to make sure there is liquid at the bottom. Secure lid, select "Manual" and set timer for 25 minutes. When the Instant Pot beeps, allow the pressure to naturally release for 15 minutes before opening. If the pressure has not dropped completely, turn the pressure release valve to release the remaining steam. Shred chicken with two forks and stir to coat with the pan juices. Serve over rice or use as a taco filling. Cooking time does not include the time it takes for the pressure to build, which will vary...but about 15 minutes. I have considered picking up an Instant Pot but, don’t have one yet. Your recipe looks amazing. Thanks for sharing at the Inspiration Spotlight party. Pinned & shared. Just made recipe in my brand new instant pot duo plus. Turned out great ! I would have never thought to use those two seasonings together. I used both liberally. Thanks !